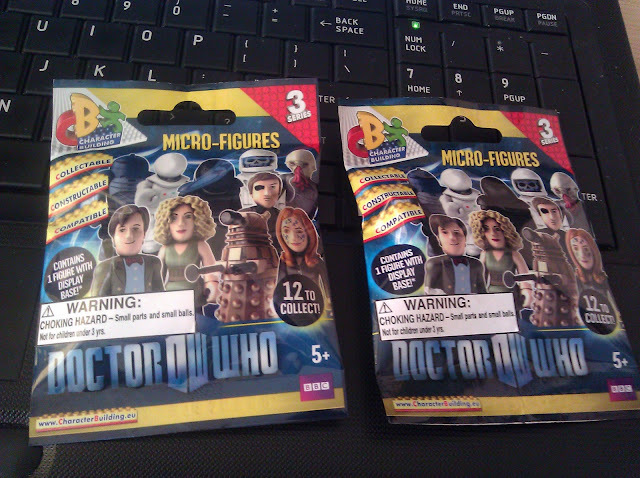 I'm back in American for a few weeks and so I'm taking advantage by ripping as many of the awesome products I've missed in the past four months...[cue the crickets]...so instead of products made by Topps and Panini I turn to some Doctor Who Micro-Figurines. I bough these for $3.99 each from BAM! which is a bookstore chain that took over a lot of the recently closed Borders stores. These are imported from England and put out by a company called Character Building. Obviously I'm looking for a Dalek or an Ood. Without being familiar with this particular product I assumed that these were like The Avengers figures I opened this past summer. Instead, when you open these packs you get figures that resemble Lego characters and so it's a little unclear what you've received until you put everything together. 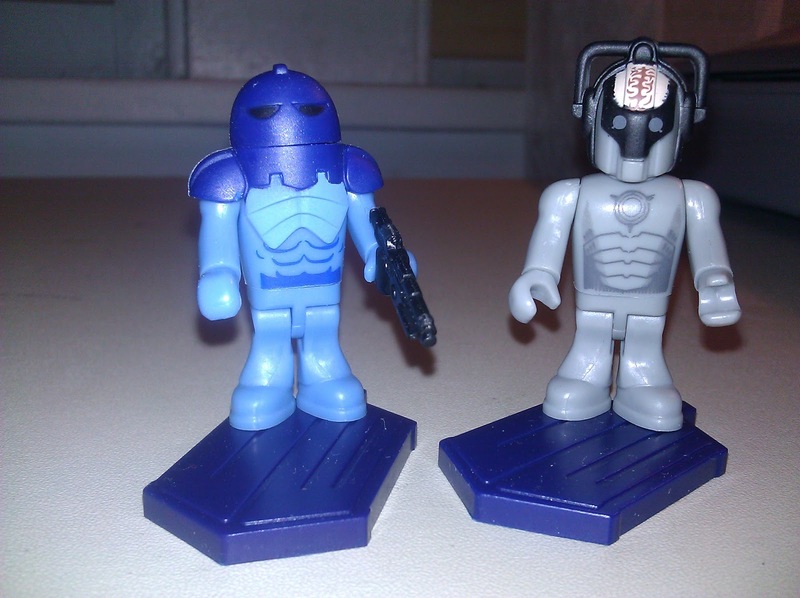 My characters were a Cyberman [which is probably the second most important villain in the Doctor Who series] and a blue masked Sontaran. While these are pretty neat I think I will try to track down an Ood on eBay and pass on any more packs. I love the Character Building mini's. 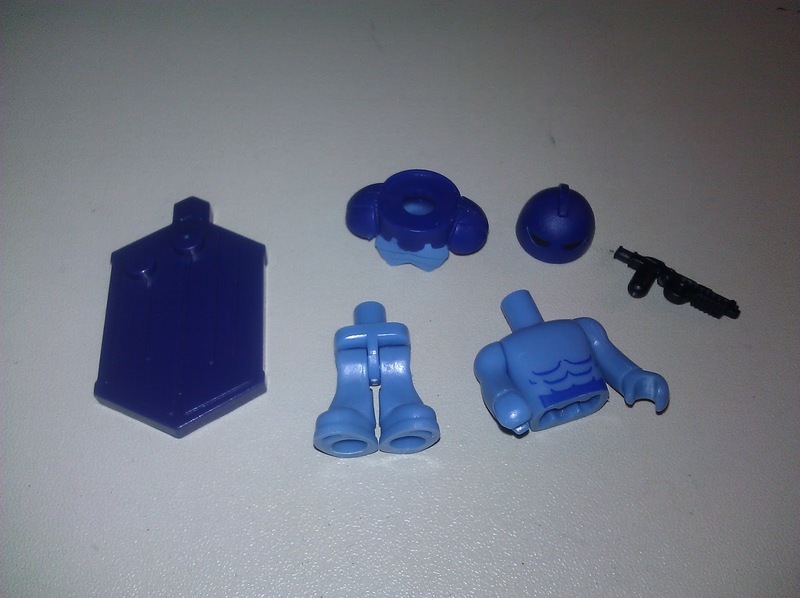 I just picked up the 11 Doctor box set, but I haven't found anyplace around me that sells the blind packs. If you don't want to hold on to those two I'd be up for trading for them. Let me know I might be able to help out with a few cards from you needs list and I'm sure I can come up with some nice Mariners, Twins and Royals stuff for you too. 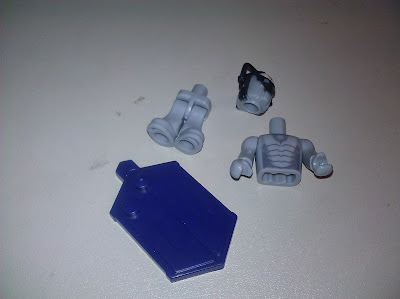 I just started watching Dr. Who earlier this year on Netflix... these are awesome! I have a few of these too, and love them. My kids and I prefer the Weeping Angels to the Daleks and Cybermen. I saw them being sold at the C2E2 convention I went to back in the spring. I decided not to get one for fear of getting a minor character. I remember reading that the sets and characters do work with lego, so if you have sets you can create your own invasion scene.